The Amsco Artisan is nearly identical to the Amsco Studio window, including the same frame and sash. Standard features on the Artisan include double pane glass, a 5 chamber extrusion, low-e glass, interlocking panels, double weatherstripping, metal-reinforced meeting rail, fusion welded mainframe, 3" frame depth, 3/4" IGU, warm edge spacer, tandem nylon rollers provide a smooth, easy operation. The window also includes several upgrades, including a hidden accessory groove and an aluminum reinforced meeting rail that will help improve the overall durability of the window. The Artisan Series is Amsco's most popular vinyl window - most installers would suggest you spend a bit more and go with a better but still affordable option. Consumers can expect pretty close performance numbers to the Studio model. Comparable to the Slimline from Harvey. The Artisan model is available as a single hung, double hung, horizontal slider, casement , picture, awning, round top and arch top. The window comes in white, taupe, almond, autumn red, evergreen and bronze interior, as well as a white interior. Consumers can expect Amsco Artisan window pricing to run $30 to $40 per square foot for the window itself. Comparable windows include Jeld Wen Premium Vinyl prices and Pella 350 window prices. 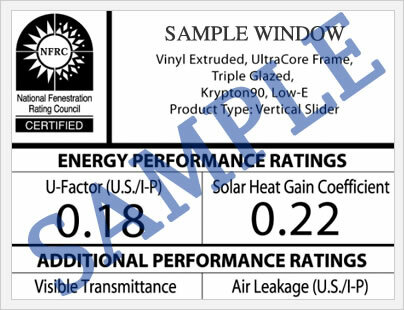 The Amsco Artisan window provides less than impressive numbers, the single hung will deliver a U-factor of .35 to .30, SHGC of .27 to .20 and and a visible transmittance of .50 to .46. The specific performance data will be based on glass package, optional upgrades and additional features that consumers opt for. This performance data is available on the manufacturer's website and may change over time as they change features, etc. The Amsco Artisan offers a limited lifetime warranty for the original purchaser on their windows and patio doors for products manufactured after July 1, 2009. The warranty covers defects in the manufacturing process for materials or workmanship for all vinyl parts, including the mainframe and sill. 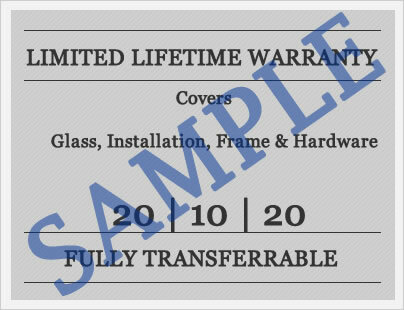 The warranty is transferable, however the new owner is only covered for 5 years from the date of purchase. Amsco is not known for the strength of their warranty. In fact, this is one area where the company tends to get knocked by contractors and industry insiders. Inquire with the local company that you purchase with as to what is covered and what is excluded prior to buying Amsco windows. Do you have Amsco Artisan windows reviews to add? Please let us know what you think of this product in order to help other consumers make the best decision for their home. If you have questions about this or any replacement window, please contact our site editors and get the answers you need. Make sure to include your email address for them to get back to you directly.